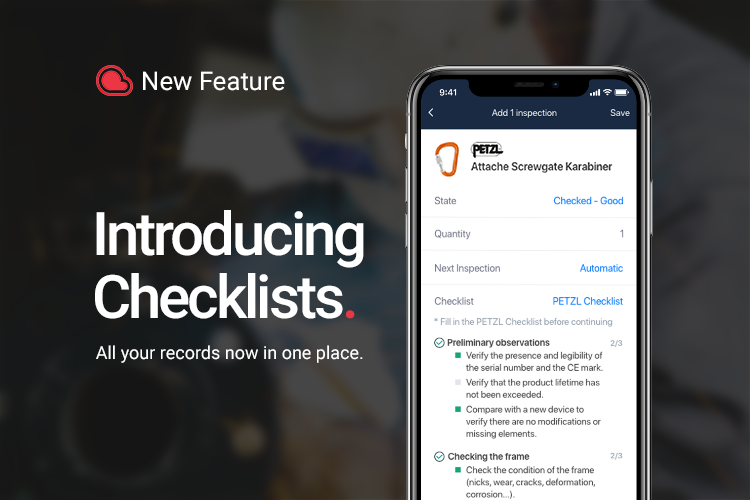 When we decided to move forward with this development, a clear aim for us was to give users the ability to embed checklists provided by manufacturers within an individual record, and use them to enhance their inspection processes within Papertrail. We wanted to combine the appropriate manufacturers checklist (the source of truth) within a single record to give a single source of evidence for compliance. No longer do you need to create a separate checklist alongside your Papertrail records, you now have everything in one place. Why are checklists important to so many of us? It seems most of us have difficulty remembering a list of information that is longer than 5 to 7 items. This is a concern for us as managers of businesses that rely on our staff to carry out many tasks, procedures and jobs to a high standard, for many of us, this is where the checklist functionality will come in to its own. Checklists have certainly become more popular in recent years after Atul Gawande published his book “The Checklist Manifesto“. The book discusses how checklists are making hospital visits safer with a safe surgery checklist, how architects and anyone building or working on anything complicated needs to have an inspection checklist or a testing checklist. It is accepted that checklists can help us carry out many tasks, but they can also be used to show compliance in claims of negligence by providing evidence of a risk management system being in place. However, excessive dependence of checklists may hinder performance when dealing with time-critical situations such as a medical emergency on a work at height platform or whilst out far from any help. Checklists should not be used as a replacement for common sense. Intensive training including how best to use checklists can help integrate the use of checklists with more adaptive and flexible problem solving techniques. Shall I use checklists or not ? Providing evidence of the checks carried out to determine if something was safe to use. With this in mind we soon realised that even with a small pool of manufacturers to begin with we had a huge job on our hands to provide the right capability. This led us to investigate which manufacturers had the most amount of equipment records held in Papertrail, and the answer to this came as no surprise – Petzl was the hands down winner and it is their generic checks that are now ‘live’ on the accounts of users with their equipment. We also appreciate that you may not want to use the generic checklists. Don’t worry, if this is the case you just simply don’t assign the checklists to your records. The option will always remain for you to add them but won’t show until you need to use them. If you are a manufacturer of PPE and Fall Protection equipment and you would like to make checklists available to your end users through Papertrail, email me at ben@papertrail.io and we can discuss the way ahead. 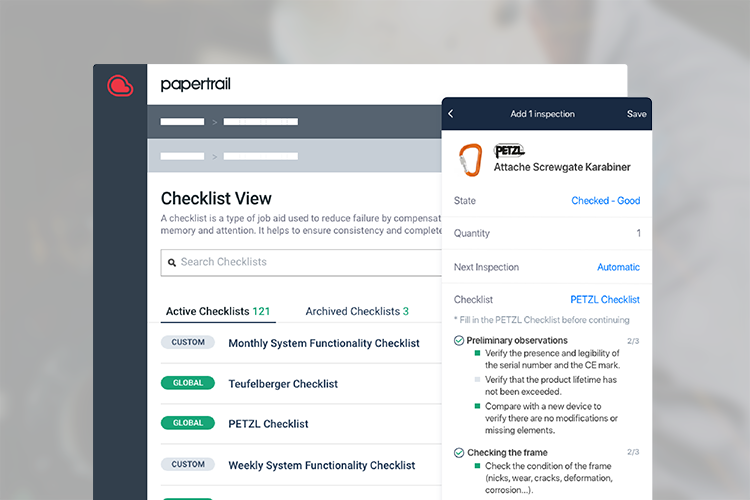 We have created some short, informative functionality articles and videos to assist you getting started with using checklists in Papertrail, to access these articles click here. As with all Papertrail functionality we believe our checklists are intuitive and easy to use, but it’s always good to have a reference point to go to for guidance. We would also appreciate your feedback on how you can use checklists, and any suggestions you may have for other checklists you’d like to see included within the Papertrail library. We have some exciting plans for enhancing this functionality in future.